Leatherback turtles frequent much of the Caribbean coast of Costa Rica during the months of February and July to lay their eggs. One egg has a market value of $2 and one turtle can lay a clutch of up to 100 eggs. For poachers this is a significant income and poaching is rife on the Caribbean coast of Costa Rica. But without eggs hatching, the species will disappear. 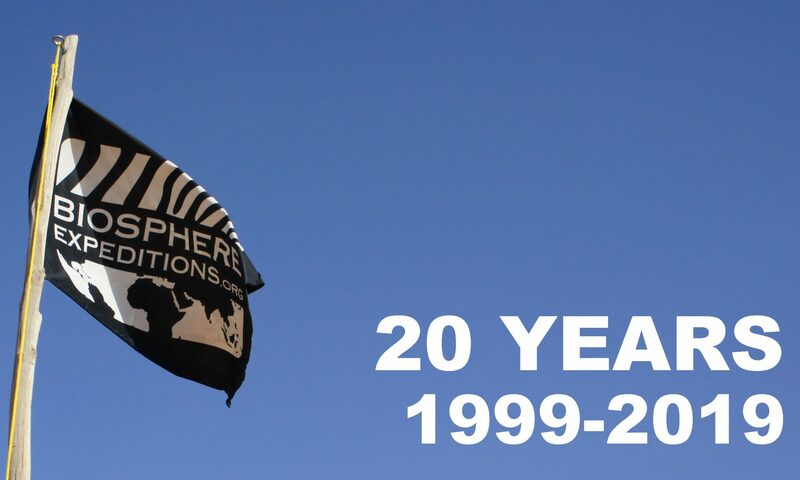 This is where Biosphere Expeditions and its partnership with LAST (Latin American Sea Turtles) comes in. Our joint mission is to patrol the beach on a nightly basis and relocate as many clutches of eggs to a guarded hatchery as possible, thus preventing the poachers from taking all the eggs. For this a whole host of trained “foot soldiers” (Biosphere Expeditions team members) is need to monitor the beach, catch a turtle before she lays, wait as she digs her nest, then catch the falling eggs in a large plastic bag and whip them out from beneath her before she starts to fill in the nest and camouflage her tracks. Biometric data are also taken, and the nest re-dug by hand by the team member on duty in the hatchery. The nest, now safely in the hatchery, is guarded 24 hours a day for the next 60-70 days until the hatchlings emerge. So what does the expedition mean in conservation terms? 15 clutches of eggs safely relocated to the hatchery; clutches, which if left in their natural condition would have either been poached or washed out to sea. This amounts to over 1000 potential hatchlings, and based on statistical probability, that is one adult who against all the odds will return in 15 years to lay her own clutch. This may not sound like much, but for a dwindling population of fewer than 4,000 leatherback turtles on the Caribbean coast, every single one counts. This week it has become increasingly obvious that beach erosion is also a big problem in Pacuare. As a result of global warming more extreme weather events have been observed in the area in recent years, and due to current storms in the Caribbean we have seen very high tides and strong wave action eating away the beach from under our feet. This has also impacted the number of nesting turtles we have encountered. There have been fewer females coming out to nest at night, as there is little to no beach above the high tide line to nest on. We did, however, encounter a turtle camouflaging her nest, that sadly had been poached, on Tuesday night. Fortunately we managed to recorded her tag numbers and get her measurements. She was an interesting turtle as her carapace was deformed and not very streamlined, and her back left flipper was missing, probably as a result of a shark attack. Only the previous day when we released a clutch of hatchlings, where a few had deformed carapaces, did we wonder if these juveniles would ever make it to adulthood. It turns out they do! Wednesday, our last night on patrol saw more rain and therefore little turtle activity. Brad joked that, “it is like being on Survivor and preparing for a marathon each night!” But morale was still high. “Camaraderie doesn’t happen unless you’re doing something challenging”, said Janet from the UK. It certainly has been a challenging, but also a very rewarding time for the team, and turtles alike, but as the expedition draws to a close another nest emerges – 34 writhing hatchlings ready to begin their adventures at sea. So with a joyous farewell dinner, with cake from Magali, candelabras by Theresa, and Scottish folk songs from Gordon, it is time to leave our rustic abode, and return to whence we came. We will not forget our experiences here in Pacuare and it has been an fruitful inaugural expedition for Biosphere Expeditions, with a total of 15 nests recovered and relocated in the hatchery. That’s over 1000 potential hatchlings! Thank you team for all your hard work in making this a reality. Many thanks also to our project partners LAST and especially to Magali for her knowledge, skills and dedication in the field – it was a pleasure working with you. A big thanks also to all the staff on site, to Silvia our cook, to the research assistants, to Pablo and especially the local guides, Mauricio, Carlos, Nene, Hernan and Steven who led us to the turtles each night. The poaching issue, although far from being resolved, is under the watchful eye of LAST and the Environmental Association of Nuevo Pacuare, and we look forward to continuing our relationship next year on another expedition. Our second expedition team have arrived, been trained in patrol and hatchery methodology, with Janet digging the “perfect leatherback nest.” In the hope of washing off the post nest-digging sand, most of us dived straight into the ocean. The ocean had other ideas, however, and tumbled us around in the surf, spitting us out with more sand in our clothes than before we had entered! Sunday night, the new moon, which had so delighted us with its light, enabling us to finally see where we were going, suddenly became obscured by dark, black clouds, which duly opened upon us. Then a nesting turtle suddenly appeared for Catherine, Carol, Terry and Janet, and it was action stations! The turtle was already laying and we peeped into the nest to see a clutch of glistening eggs. Oscar, our guide, quickly tried to excavate as many eggs as possible, but she was nearing the end, so he deftly inserted one end of a long measuring tape into the nest and waited until she had finished covering up and moving off, before unearthing the eggs – there’s no way a human can compete with the power of a leatherback’s flippers, so this was the best option. After rescuing Terry’s glasses from a near burial, we took the data and brought the eggs to the hatchery, which fortunately for us, was only two minutes away. Other patrols witnessed two poaching events, and it seems that our thief (from last week) is still at large, as whilst taking a pee in the bushes, one of the poacher’s own egg bags was swiped! “Now that’s Karma!”, said Ida. On Monday loud knocks woke us up at 21:30. There were initial grumbles at being woken up during our pre-midnight patrol nap. But as the word “hatchlings” were uttered we all got out of bed, bushy-tailed and bright-eyed. There was a clutch of twenty-five baby leatherback turtles ready to head for the ocean. We all observed them being measured and weighed before finally making their last mad dash for the sea. During the night a few more emerged and by the morning Theresa, who was on early morning hatchery shift, released the last lost little wanderer on to the beach. Tuesday afternoon Magali excavated the nest and another nine turtles were dug out from the bottom of the nest. Everyone released a turtle, cheering them on as they crossed the beach. Dustin was up for hatchery duty next and just as we were all about to leave, he noted a few little heads starting to poke out of one of the nests. “I had just started my shift,” exclaimed Dustin. A couple of hours later as Theresa and Janet were about to take over hatchery duty, fifty-nine hatchlings had emerged and they measureed, weighed, and then finally released the little ones. What a night! As we enter the darkest phase of the moon, the turtle activity seems to have declined slightly. However, due to our recent reporting of the poacher’s breach of agreement and subsequent egg theft, the presence of coast guards on the beach at night has risen from zero to four. As if to justify their presence even further, they were the ones to discover the only two nests that have been taken to the hatchery in the past couple of days! Hopefully this will inspire them to stick around, as their dedication is greatly needed. For expedition team 1, the week in Pacuare is drawing to a close and instead of our usual afternoon beach duties, clearing the plethora of plastic from this remote coastline, and removing the logs which not only trip us up in the dark, but more importantly, may deter a cautious turtle from nesting, we opted for a locally-run wildlife tour instead. Our guide, Freddy, had an extremely keen eye, and alerted us to troupes of spider monkeys performing their aerial acrobatics in the high branches, miniscule bats lined up on a dead log asleep, lazy sloths and crimson poison dart frogs. A wonderful way to end an extremely experience-rich week. Thank you team 1 for all your very hard work, day and night, for your diligence, your enthusiasm and all your wonderful feedback. During this expedition, we witnessed 24 false crawls, (this is when a turtle emerges from the sea, but does not dig a nest or lay any eggs), took 10 clutches of leatherback eggs to the hatchery for their protection, (a total of 760 eggs) and released 90 hatchlings into the sea. This is an excellent achievement. Unfortunately the poachers took a further 13 clutches of eggs despite our relentless patrolling, which brings the reality of the situation home. This is an area where only hands-on conservation work can make a difference – thank you for all your efforts, and we look forward to welcoming the second team in a few days time to continue what you have started. Yesterday afternoon, as we were all out for a beach cleanup, we spotted Pablo running up the beach. “Babies!”, he called out as he got closer. The first lot of hatchlings for the season had just started to emerge out of their nest. We headed for the hatchery where two rather sleepy baby leatherback turtles had crawled out of their nest and a third one was poking its head out of the sand. It wasn’t until later at night, however, that the full nest started to emerge. At around 18:30, 24 baby turtles were busy flapping their flippers around. We all gathered at the hatchery and took turns helping out, weighing and measuring a subsample of 15 of the 24 hatchlings before it was time to release them all on the beach and watch them head for sea. Their jerky movements made them look like wound-up toys! A couple of hours later a second, much larger, nest emerged and Alan, Janet and Ida, who were on hatchery duty, processed another 63 baby turtles. Just when we thought things had calmed down, three turtles poked their heads out of a third nest whilst Carol was on the early morning shift. But as a result of the hot daytime sun, the hatchlings in the third nest stopped emerging, instead waiting for cooler nighttime temperatures. We processed and released the three that had already emerged and watched them struggle to the sea (the process of letting them crawl over the beach is essential for imprinting the beach’s location into their brains). “It makes all the hard work worthwhile,” exclaimed Carol. In the afternoon Magali excavated the two nests that had fully hatched. There were a couple of stragglers at the bottom that were released and all the hatched and unhatched eggs were removed and examined individually and their stage of development recorded. Then all were buried deep in the sand to avoid attracting predators. Now we are all waiting for the third nest to fully emerge. The team are acclimatising to the heat and the night-time schedule. It’s always a treat when you meet a turtle in full swing, just minutes after leaving the research base, as happened to the first patrol the other night. The eggs were collected and taken to the hatchery where Carol and Sheila, battling with the biblical plague of crabs heading on land, also to lay their eggs, duly dug the chamber and relocated the clutch. The next morning, we decided to enlist the help of Hernan, a once poacher, now guide with LAST, and for 30 minutes he poked around with a metal rod trying to find the nest. It was obvious that even for the professionals, this was not an easy job! The turtle had camouflaged her nest so well that we thought it was a lost cause until suddenly the rod went down with ease. He dug furiously until there they were, a cavern of white spheres. Elated, Magali extracted the nest and then Janet and Ida helped to relocate it into the hatchery. It was a great sense of achievement, not only to have evaded the poachers, but to know that the nest is now safe from the elements too. However, last night the poachers broke the unwritten code of conduct for the first time since its inception a few years ago. The agreement is basically peaceful coexistance and that whoever gets to a turtle first has the “rights” over the nest. Last night a team were with a turtle who was laying facing the sea. They collected the eggs and placed them in their bag a metre or so away, whilst they took the rest of the data. Suddenly, Jenny heard the crack of a branch and when she turned around, a shadowy figure disappeared into the night with the egg bag! We were all obviously shocked to hear of such a breach, and a formal complaint will be lodged with the coast guard and the police. Magali is confident, though, that the name of the poacher will come out amongst the community (which only numbers 35 people) within a couple of days, and that community will take appropriate action for fear of creating a rift between themselves and LAST – no one, not even the poachers want to disrupt the current system of tolerance. You may ask why we do not report poachers every time and why this tolerance. The answer is simple. There is no or very little law enforcement in this area, so it’s just us and the community, some of whom are poachers. The alternative to peaceful tolerance would be aggressive squabbling, which would get us nowhere fast. Without the cooperation of the community, we would have no chance to change hearts and minds away from a poaching culture. And agressive confrontation on pitch dark beaches in the middle of the night is not what we want either, nor are the poachers “bad” people. In this community of severe poverty, little education, few opportunities and some alcohol and drug-related problems too, our “poaching” may be their subsistance. We accept this and work hard to turn poachers into patrol leaders and provide alternative means of income, such as employing people from the community as patrol leaders, cooks, service providers or encouraging them to grow food that can be sold to the research station or making souvenirs for volunteers. Without us, poaching would be 100%. With us around it is between 60% and 35%, depending on the year. It’s a long game and, with the help of our volunteers, we’re in for the long haul, not futile, short-lived fights on the beaches. The team are now all together in Pacuare Field Station and the first two days of briefings and instruction have been completed. To patrol the beach at night everyone has to undergo practical training to learn how to measure and tag a turtle, collect the eggs, record all the data correctly, and finally how to transport and then relocate the eggs in the hatchery. This last part involves digging a hole 75 cm in depth, then hollowing out a 3 5cm diameter egg chamber at the bottom with your hand, lying face down in the black volcanic sand whilst being bitten by sand-flies! However, all the training came to good use when last night at 23:15 Sheila and Keiner’s team, led by Magali, our scientist, came across a leahterbacke in sector A, 2.5 km down the beach from the station. Sending a hopeful poacher on his way, the team watched her crawl up the beach, dig her body pit and Sheila played the role of midwife, collecting the eggs in a large plastic bag, withdrawing the bag just in time, before the turtle began to fill in the nest. Keiner took the biometric data and Magali tagged her. Theresa was on hatchery duty from midnight until 06:00 and so had the honour of digging her first nest in the hatchery, depositing the eggs that will be safely guarded around the clock for the next 60 – 70 days until they hatch. Hello, my name is Ida Vincent and I am being trained to become an expedition leader, learning ropes from both Matthias and Catherine. We have now all arrived in San Jose. Matthias and I arrived two days ago; I from Seattle and Matthias with very sore legs from running the London Marathon on Sunday. Catherine joined us last night, also from London. This morning we will continue our journey first by bus to Baatan and then on to Pacuare via boat. Matthias and I met with Nicki Wheeler from our local partner LAST (Latin American Sea Turtle) yesterday. She confirms that everything is ready for us and that the first batch of turtle hatchlings are due to emerge any day now. She also told us that the weather at Pacuare has been wet and last night we experienced a big rain and thunder storm here in San Jose. Don’t forget your raincoat! We all look forwards to meeting the first expedition on Monday. Nicki will be in San Jose to greet you and see you on your way to Pacuare where we will be waiting for your arrival. Hello and welcome to the Costa Rica expedition diary. My name is Catherine Edsell and I will be your expedition leader on this brand-new Biosphere Expeditions project, helping our local partner LAST (Latin American Sea Turtles) with sea turtle conservation on the Caribbean coast. During our time at their Pacuare field station we will be working closely with Magali Marion, LAST’s on-site biologist who will endeavour to train us in all aspects of leatherback turtle monitoring. 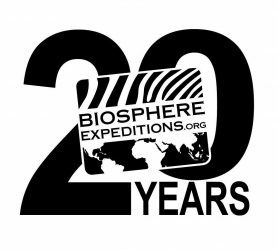 Ida Vincent, expedition leader in training, will be assisting me throughout, and Dr. Matthias Hammer, executive director of Biosphere Expeditions, will also be joining us for the first few days, to help with getting set up. I trust all your preparations are going well, and I look forward to meeting the first expedition team on 2 May. I will not be at Hotel Santo Tomas for the assembly, as Ida, Matthias and I will be readying the station for your arrival. You will be met by Nicki Wheeler from LAST at 09.00 in the lobby of the hotel Santo Tomas, from where you will be transferred by vehicle to Pacuare. Nicki will be there from 08.30, and it is important that you are not late as we have a busy day ahead of us, with night patrols that same evening. Please do have another look through your dossier and familiarise yourself with all the information therein, check you have all the necessary kit, and I shall see you in just under two weeks. I will be leaving the UK in a few days time to get everything organised, and will send you another update nearer the time.